RiME is the touching tale of a boy that wakes up on a beach with no clear recognition of how he got there. He sets off on a journey that has him following a friendly fox and a mysterious figure in a red cloak through ruins, towers, and even under water all while solving puzzles along the way. Puzzles mostly consist of sliding boxes, jumping and climbing walls, and a few that make use of shadows and perspective. Otherwise you’re just following a fox that annoyingly barks at you until you go where it wants. There isn’t anything in the way of combat, which works due to game’s focus on the journey through set pieces while taking in a story. 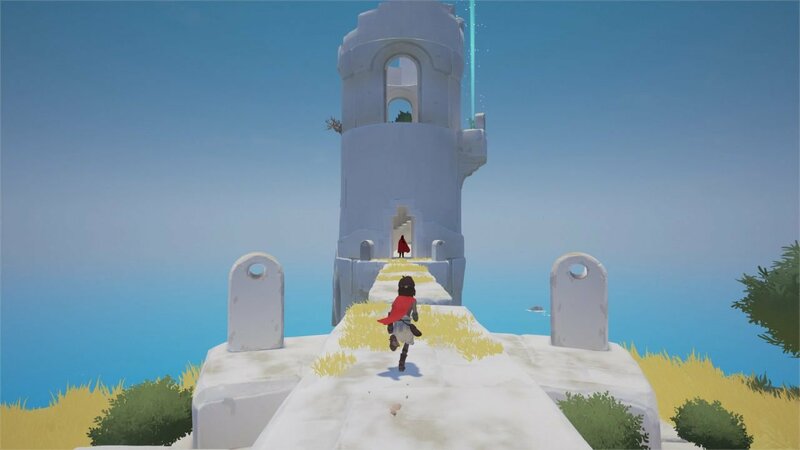 Nothing in RiME reinvents the wheel or does anything we haven’t seen before for the most part, and that is okay, if a bit boring. It’s a cute and touching game that feels like a very personal piece of art and expression for the developers. However, unlike most games where I wish I could have played them on the Nintendo Switch, I wish I’d played this one anywhere else thanks to an awful port job. 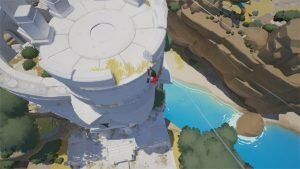 While RiME is known to have some framerate issues on other consoles and on PC, those versions can run at 60FPS or more whereas the Nintendo Switch version rarely stays at a stable 30FPS with lots of hitching and stuttering. It’s so bad that I didn’t bother doing anything but head straight to the next objective, completely avoiding exploring the world for optional collectibles; something I’d normally do when time allows. 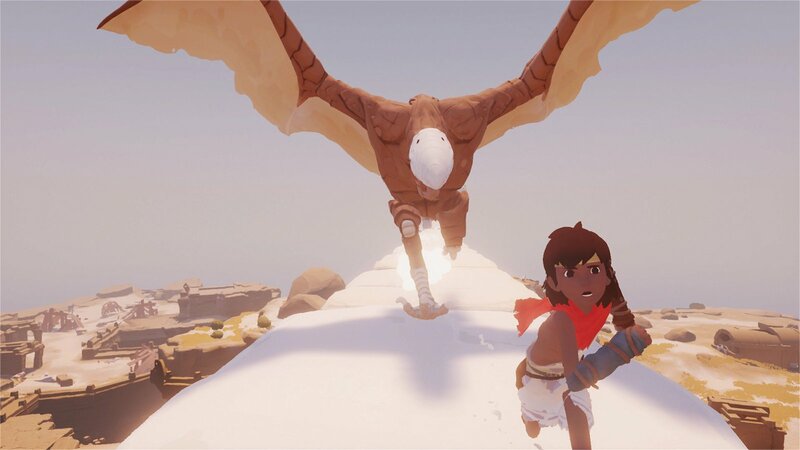 Graphically speaking RiME looks about as good as it does elsewhere—which is to say not all that impressive but still colourful and stylized. That said, there is one level that had me making my way through ghost infested water caves that were so dark I could just barely see enough to make it through while playing on my TV. Also, there were moments where my character’s feet weren’t touching the ground when they should be and other graphical inaccuracies. 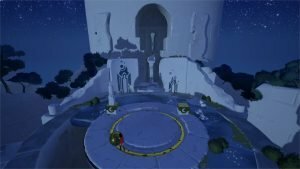 Having such a shoddy port is a shame since RiME seems like an all right but unoriginal game. The price is definitely a bit steep at $29.99 USD, especially considering it only lasts around six hours and the collectibles don’t seem to do much other than give you alternate costumes and grant in-game achievements, which were added for this version since the Switch lacks a native system. If you’re thinking about playing RiME, I urge you to do so elsewhere and at a price point you’re comfortable with. The Nintendo Switch version is not up to par, even being released six months after the original. It’s short, it’s sweet, it’s unoriginal, and this port is utterly disappointing. 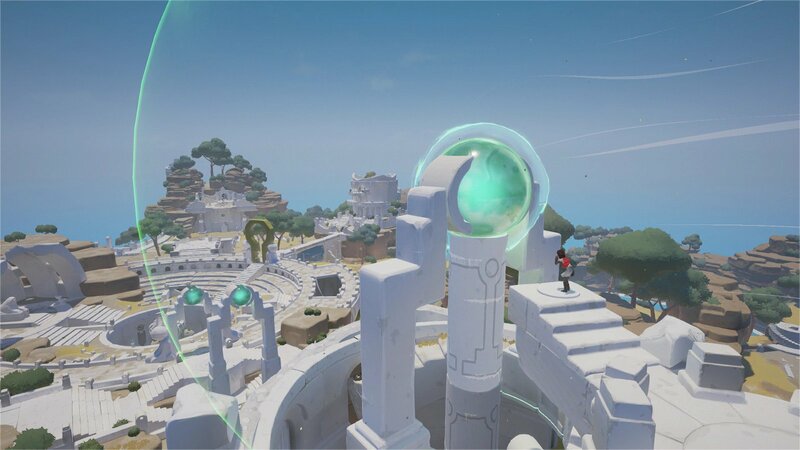 Even with a solid port job I couldn’t see myself giving RiME anything better than a 6.5 to begin with. Want to see more videos? Subscribe to our YouTube channel and check out the First 15: Sonic Forces + Episode Shadow, Super Mario Odyssey, and Cuphead! Rime may have some nice set pieces, but its unoriginal gameplay, short length, and bad port job hold it back on the Nintendo Switch.